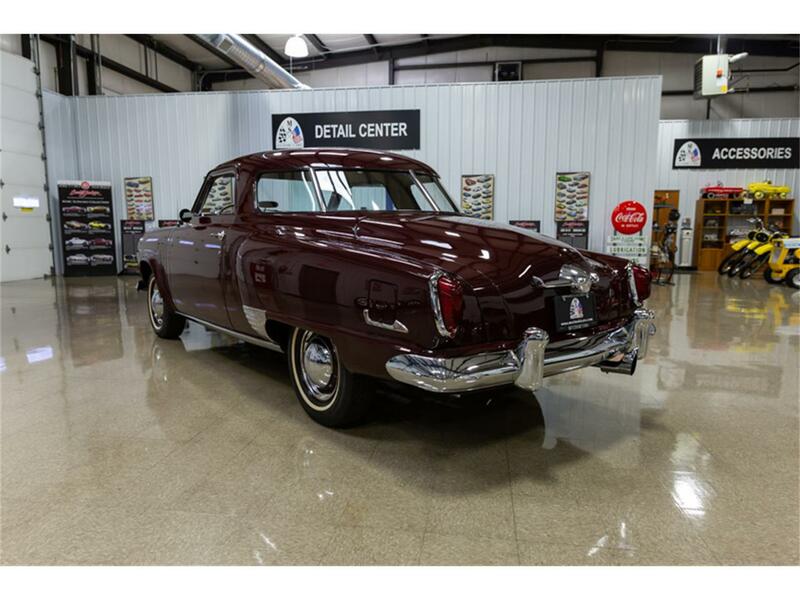 This spectacular 1951 Studebaker Champion Regal Starlight Coupe is a wonderful example of a beautifully designed vehicle with great history. 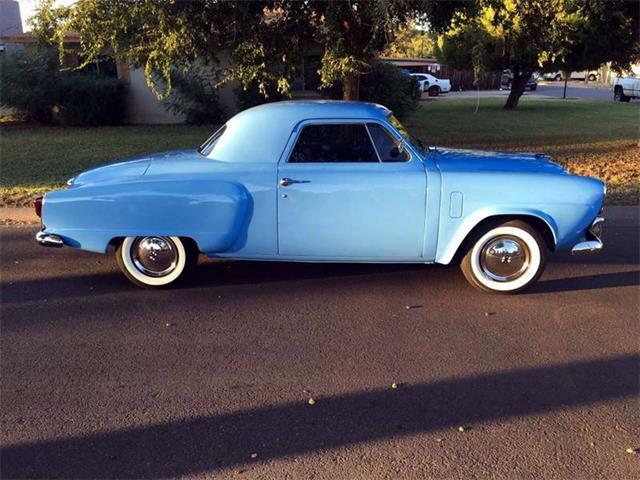 Included with this vehicle is a rare Giordani 1951 Studebaker matching pedal car. 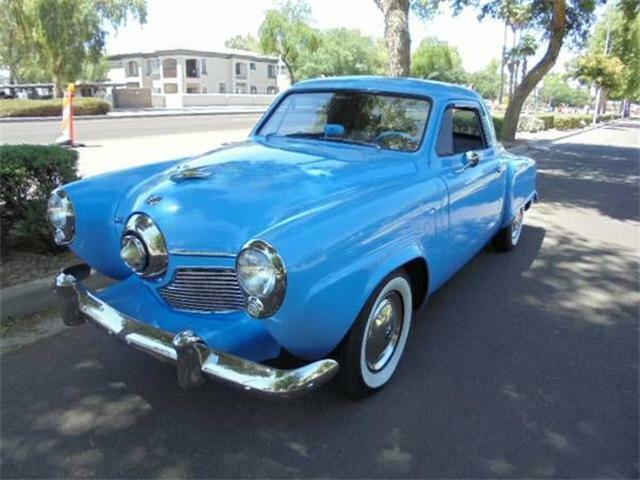 This car was built at the Studebaker assembly plant in South Bend, IN. It is one of only 14,103 Regal Starlight Coupes produced in 1951. 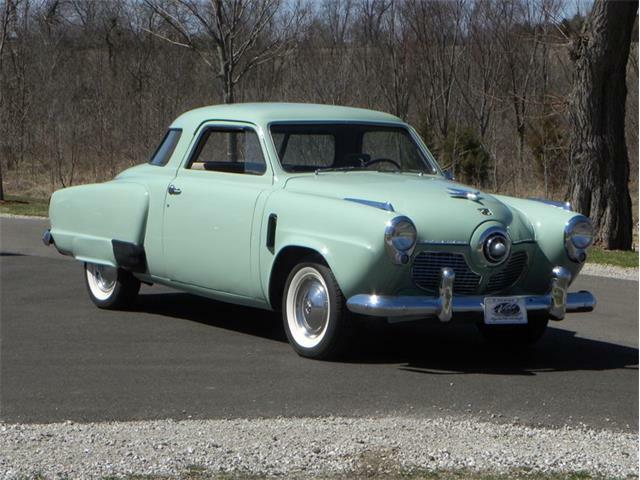 The Regal was the top of line option for a 1951 Studebaker Champion. The Regal included many extra appointments throughout. 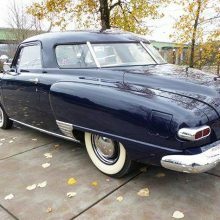 The 1951 list price for this car which is loaded with 24 options and accessories was $2,123.33. A complete list of options and accessories is included. 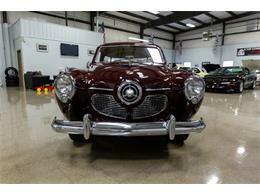 This car was shipped from the factory to Driggers Motor Company located in Selma, AL. The first owner’s information is unknown but the second owners were Mr. and Mrs. Winfred Brown of Selma, AL. They purchased the car in 1953 and sold it a few years later to the third owners Mr. and Mrs. L.G. White of Newton, MS. Mr. White passed away in 1972 and the car was garaged with 65,222 actual miles showing on the odometer. The car remained in the garage 38 years until it was purchased by Mr. and Mrs. Charlie Attaway of Oxford, GA on March 2, 2010. While Charlie was restoring the car he took it completely apart and found two pieces of paper under the back seat. On those pieces of paper was the name Winfred Brown. One of the pieces of paper also showed an address in Selma, AL. Charlie went on the internet and found Winfred still living in Selma, AL so he contacted him. In conversation Winfred confirmed he owned a Studebaker many years ago so Charlie mailed him photos. When Winfred got the photos he confirmed he once owned that exact car. A friendship quickly formed between the two men. 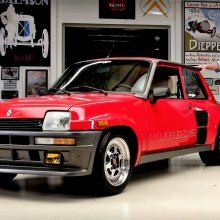 When Charlie was done completing the restoration he decided to bring the car for Winfred to see. The Attaways trailered the car from GA to AL so Winfred could once again lay eyes on the car he owned almost 60 years ago. The story made the Selma Times – Journal which is documented with the article and photos of the reunion that is included. 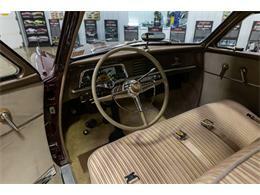 This car was the product of a comprehensive restoration which is documented with photos that are included. 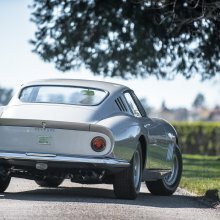 It was restored as closely to factory correct specifications as possible. The restoration was completed in March of 2014. 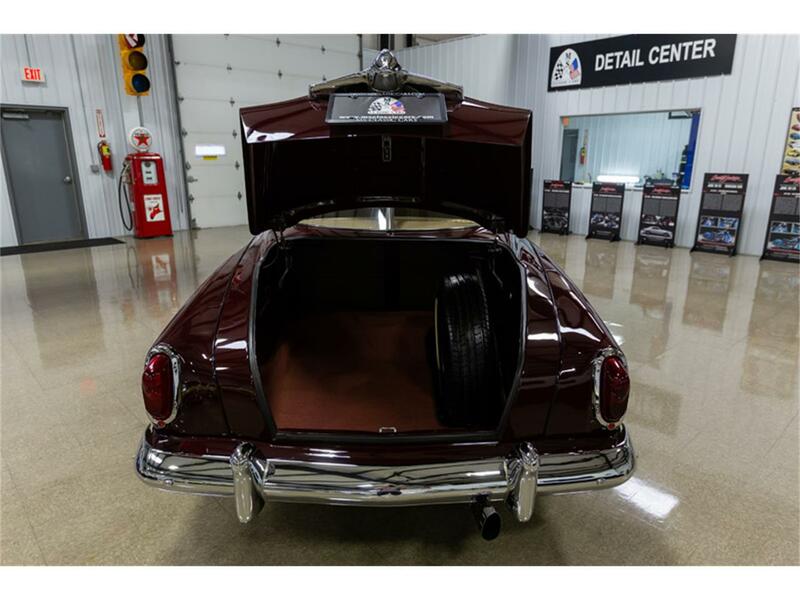 The car retains all the original sheet metal with exception of part of the trunk floor. The body of this car is striking with its unique design. It was painted in its original color of Black Cherry which looks beautiful. In 1951, the Black Cherry paint was manufactured by Cook Paint and Varnish Company located in Detroit, MI. 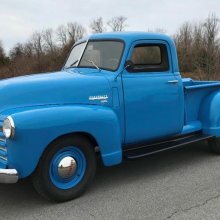 The paint was done by Barry Prickett of Covington, GA. Everything on the exterior has been restored or replaced such items as the glass, trim, wipers, mirrors, grill, lights, door handles, bumpers, moldings, etc. The car sits on matching wheels with new whitewall tires. The gorgeous tan interior is simply stunning. The interior is very comfortable and spacious. The upholstery was done by Billy and Charlene Carey of Bethlehem, GA. Everything in the interior has been restored such as the headliner, sun visors, dash, gauges, steering wheel, hardware, door panels, carpet, etc. Everything in the interior is in working order. The trunk compartment is nicely detailed. Its home to the matching spare tire, tools and trunk mat. 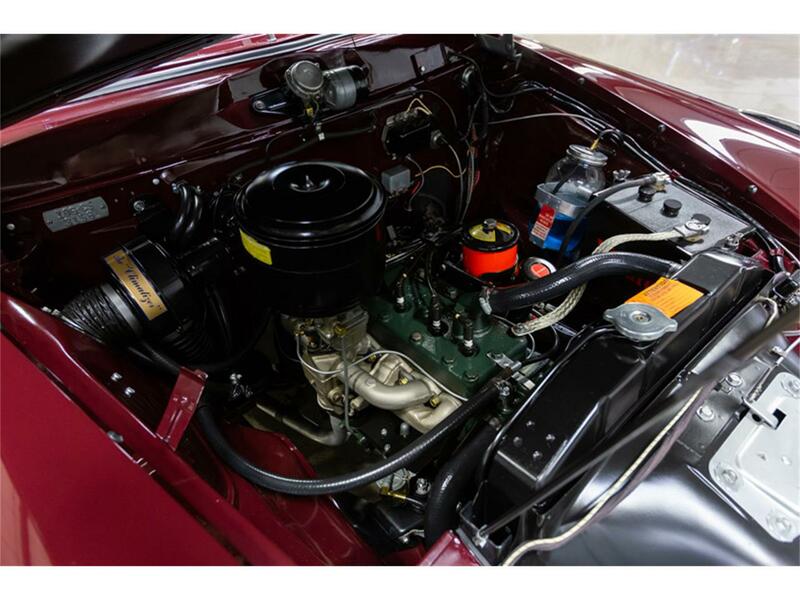 The engine compartment is highly detailed and home to the original matching numbers 6 cylinder engine. 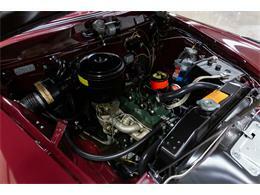 The engine was cast at the Studebaker foundry in South Bend, IN and is a 169ci making 85 horsepower. The engine was rebuilt by Nimesh Solanki of Duluth, GA and runs beautifully. The engine is coupled the original 3-speed with overdrive transmission made by Borg Warner. The transmission and clutch work very smoothly. The rear axle is 4.56:1. 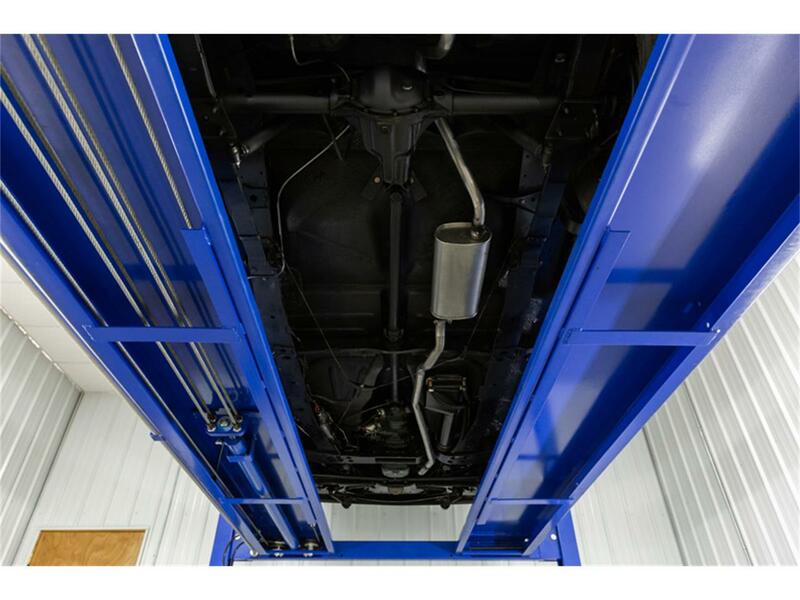 The undercarriage is very clean and presentable. 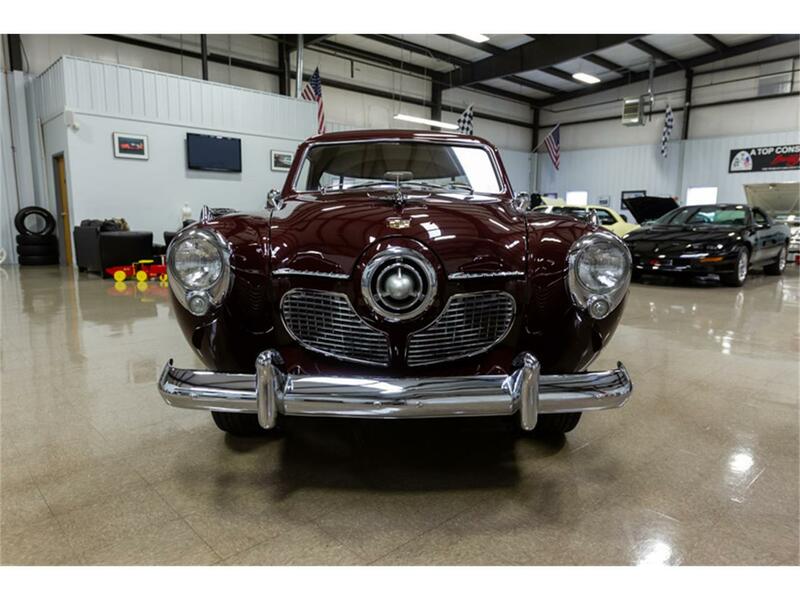 This car has won many awards including “First Place” and “Best of Show Stock” at the prestigious North Carolina Studebaker Drivers Club Show in 2014. At the Covington Car Show it won “Best Independent” 2014, “Top 100” 2015, “Top 100” 2016 and “Best Original” 2017. 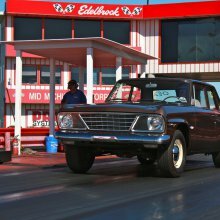 It also won “Best Studebaker” at the Jefferson Lions Club Car Show in 2016. 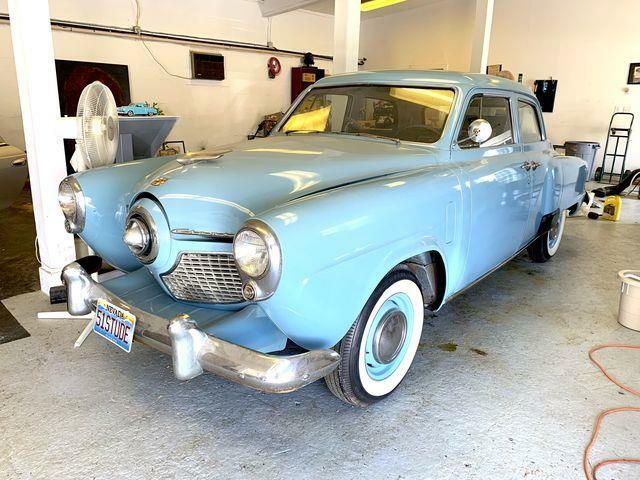 The following items are included: remains of Studebaker body color label, owner’s manual, service manuals, original parts, service record sticker, copy of Studebaker price card, original factory advertisement, misc. articles and restoration photos. 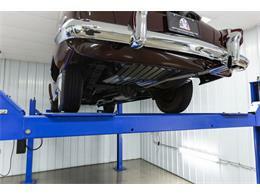 This vehicle has recently been serviced and detailed which is documented with an invoice that is included. 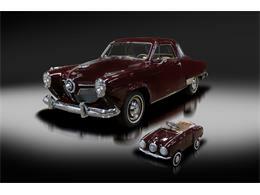 Also included with this vehicle is a very rare Giordani 1951 Studebaker matching pedal car. This extremely rare antique 1951 Studebaker pedal car was built at the Giordani Toy Company factory located in Bologna, Italy. Giordani operated in Bologna from 1915 to 1961. In 1961 the factory relocated to Casalecchio Di Reno, Italy where it continued to operate until its closing in 1984. It’s unknown how many were made and exported to the United States. 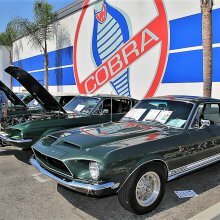 It’s believed these cars were owned by children of wealthy families as they would have been expensive toys of the day. These pedal cars were designed and manufactured to very high standards not found on pedal cars manufactured in the United States. The sheet metal body was stamped from 30 separate pieces and is mounted onto two frame rails. 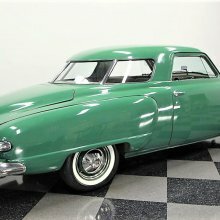 The body was designed to appear as close as possible to that of the real 1951 Studebaker being made in the United States. A total of 140 parts are required to make one of these cars. The front suspension has machine turned spindles, inner and outer removable wheel bearings, castle nuts and cotter pins like that found on real cars. The working headlights are powered by a six-volt battery activated by a switch on the dash. The rear axle is attached to the frame rails by right and left swing arms with the arms being suspended below the frame rails. Each side has a true coil spring shock in a tube much like real cars. The rear axle has removable bearings on both sides. The pedal rods have replaceable bushings where they attach to the rear axle. The seat is a separate piece and is adjustable forward and backward. 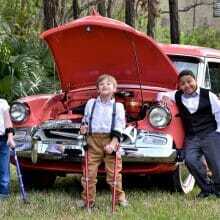 This pedal car retains the original wheels, hubcaps and tires. 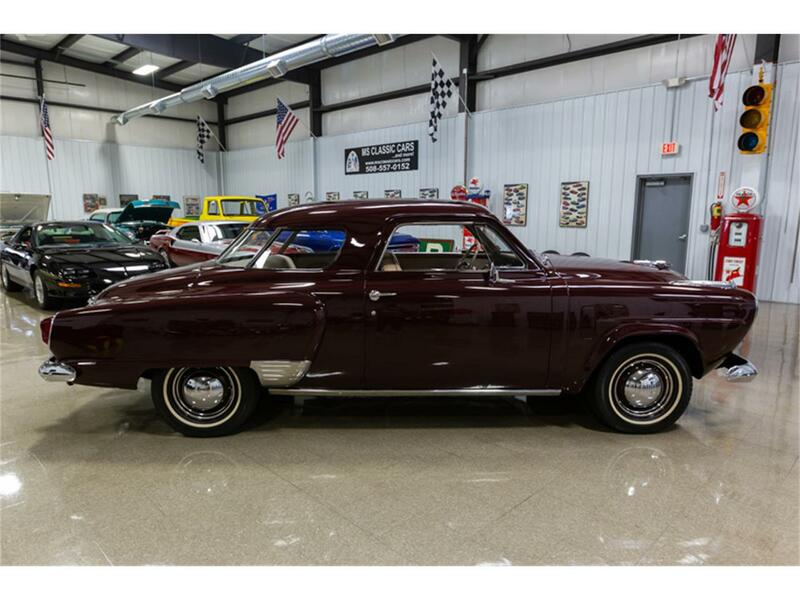 The paint color is PPG Black Cherry which is a true Studebaker color offered in 1951. 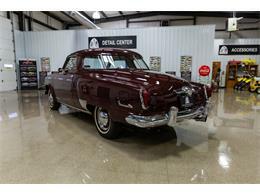 It is the same paint as seen on the 1951 Studebaker Champion Regal Starlight Coupe. 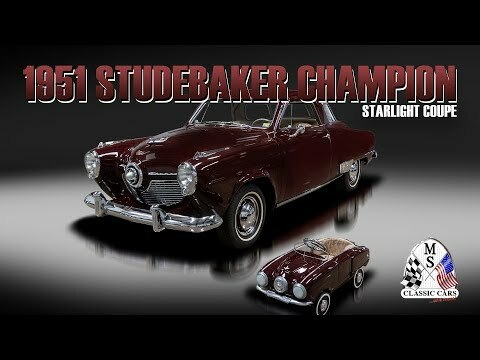 It was painted by Barry Prickett of Covington, GA who painted the 1951 Studebaker Champion Regal Starlight Coupe. 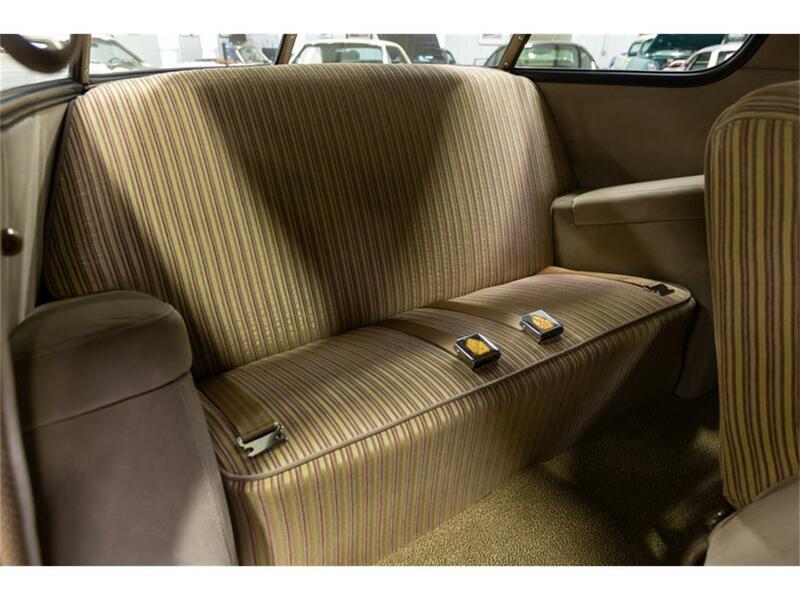 The upholstery fabric is an exact reproduction of that offered by Studebaker in 1951. The upholstery work was done by Hellen Attaway. The gauge graphics and license plate graphics were made by Mike Adcox of Convington, GA. A binder with photos of the restoration are included. Trim Level:Regal Starlight Coupe. Spectacular. Must see! 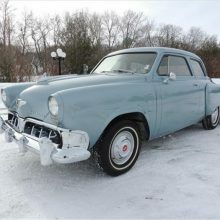 The original “push-me-pull-you” Studebaker coupe had car buyers scratching their heads when the wraparound rear window appeared in 1947 as a styling option. It’s quite a shame that one of the oldest automobile manufacturers (at the time of their demise) couldn’t have withstood the stiff competition of the day.